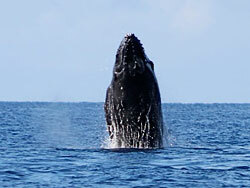 Every fall the Kohola (humpback whales) leave their feeding grounds near Alaska and return to Hawaii for their annual Hawaii vacation. They usually arrive in early December and stay through April. 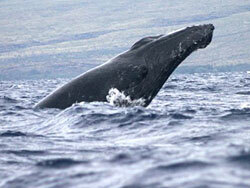 While theyre here they give birth to new calves and mating occurs. 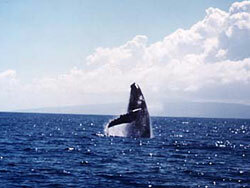 Viewing conditions are usually excellent with light winds and calm seas. 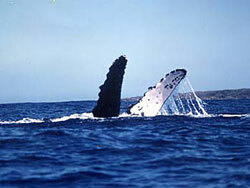 Adult Humpbacks reach a length of 60 feet and weigh in excess of 53 tons. They are also well known for their "singing" abilities with their vocalizations covering many octaves and including frequencies beyond the threshold of human hearing. 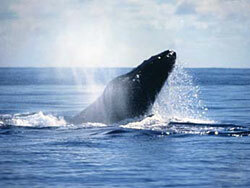 The awesome beauty, power and sounds of these animals will remain in your memory forever. Two hour sessions available daily in season. 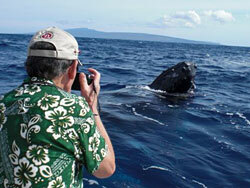 Book Your Whale Watch Now!